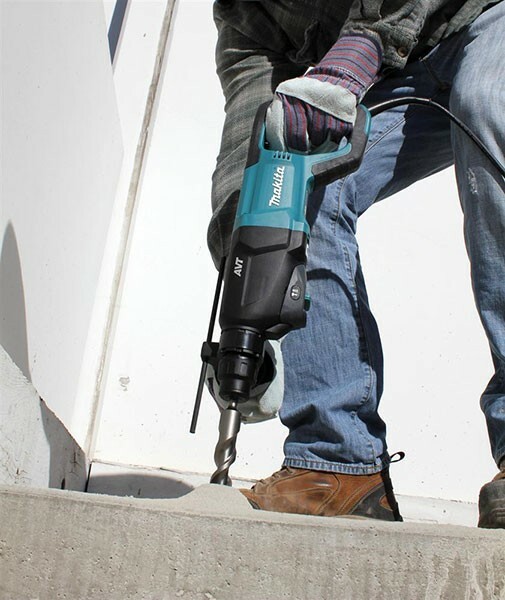 Makita is expanding their line of AVT (Anti-Vibration Technology) rotary hammers to include a 1-inch Pistol-Grip Model (HR2611F) and a D-Handle Model (HR2621). Both hammers offer 3-mode operation for rotation only, hammering with rotation, or hammering only to match your application. 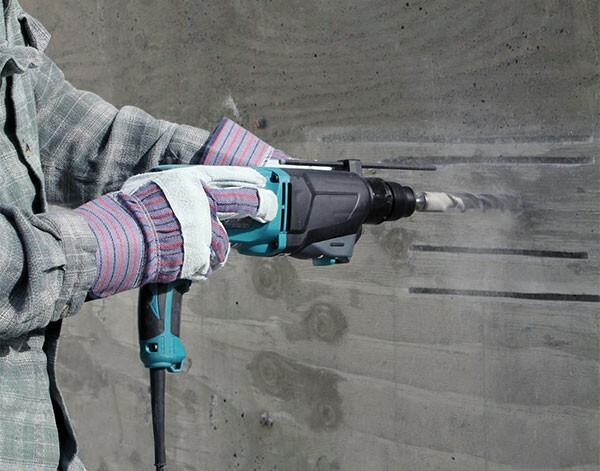 AVT is an internal counter balance system that Makita developed to help reduce vibrations. Every time the drive piston in the tool moves, a counterweight moves in the opposite direction to cancel out the vibrations that would normally be caused. Secondly, there is an integrated damper spring at the base of the bolt that absorbs vibrations coming back from the drill bit. The new HR2611F (7 AMP) and HR2621 (8 AMP) Rotary Hammers both deliver 2.9 Joules (2.1 ft.lbs.) of impact energy that can be controlled with a variable speed trigger. A feature called Sequential impact Timing promises faster drilling by delivering timed hammering during rotation to minimize overlapping bit impacts. The Pistol-Grip HR2611F also features an onboard LED light to illuminate the work surface, while the D-Handle HR2621 features a retractable tool hook.